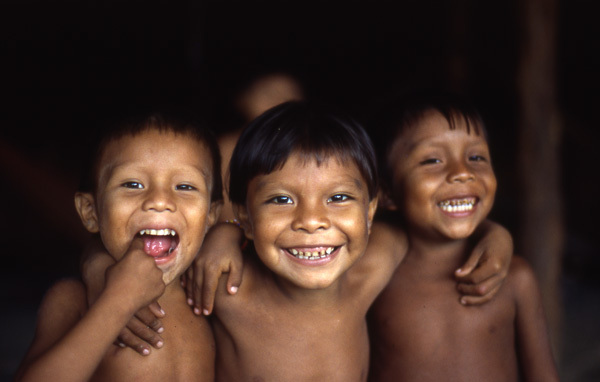 The Yanomami are one of the last indigenous peoples of South America who still maintain their original way of life. They live in the northern Amazon region of Brazil and the upper Orinoco area of southern Venezuela. Even today, these lovable Indians live in harmony with nature and have preserved their own culture which is characterized by a rich community life. The Yanomami subsit on hunting, fishing, and eating bananas and cassava. Up to 300 Yanomami live in a so-called maloca, a round village built from tree trunks and palm leaves. About 9,000 Yanomami live in the Brazilian rainforest in an area the size of Switzerland. 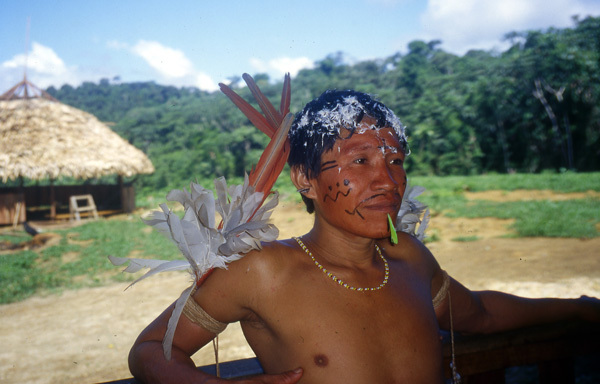 The number of the Yanomami in Venezuela is estimated about more than 12,000. 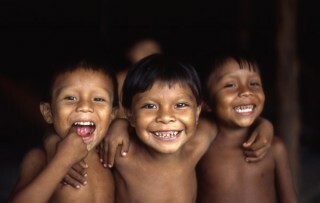 They are one of the last indigenous peoples on earth. But their lives are threatened.